The English Opening 1 c4 is ideal for the average player. White keeps many options open, yet in all lines retains a rock-solid and potentially very dynamic position. In this introduction to the English, International Master Andrew Martin takes you instructively and comprehensively through eleven recent English games, many featuring world-class Grandmasters, teaching you how the openng works as he goes along. His entertaining presentation will want you to go out and try 1 c4 in your games! 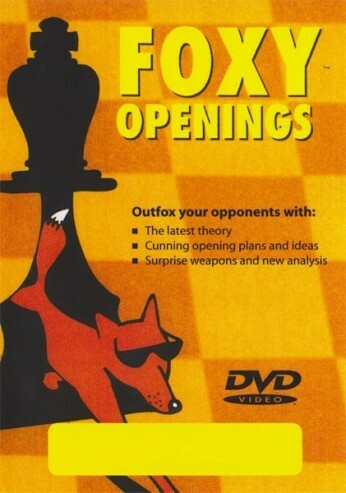 Foxy 92: The English Opening 1 c4 for the Average Player Easily Explained Video Running Time: 2 hrs 26 minutes The English Opening 1 c4 is ideal for the average player. White keeps many options open, yet in all lines retains a rock-solid and potentially very dynamic position. In this introduction to the English, International Master Andrew Martin takes you instructively and comprehensively through eleven recent English games, many featuring world-class Grandmasters, teaching you how the openng works as he goes along. His entertaining presentation will want you to go out and try 1 c4 in your games!